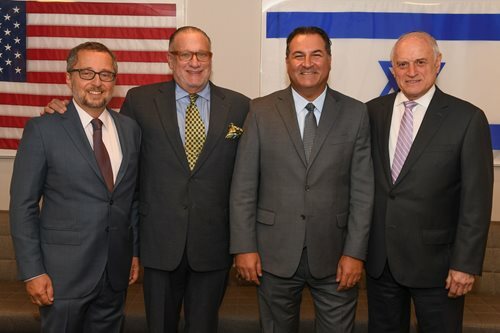 On July 10 at Israel Bonds' corporate headquarters in New York, leaders from some of the most prominent Jewish organizations were invited to attend a meeting hosted by recently elected Israel Bonds’ Board Chairman Howard L. Goldstein along with Israel Bonds President & CEO Israel Maimon. The gathering was a unique opportunity which brought together key principals committed to Israel who are all members of the Conference of Presidents of Major American Jewish Organizations, a forum of 53 national organizations dedicated to addressing critical concerns facing American and world Jewry. The session, uniting leading advocates on behalf of US-Israel relations and the security of Israel, opened with Maimon communicating his appreciation to all in attendance while emphasizing the importance of the occasion to enhance cooperation to strengthen Israel and its people. Maimon highlighted the recent election of Howard L. Goldstein as Board Chairman and cited the legacy of Goldstein’s commitment to the Bonds organization which began more than three decades ago starting with his role as chair of Israel Bonds’ New Leadership Division of Miami. CPA by profession, Goldstein was approved by unanimous vote during a meeting in May of Bonds’ national Board of Directors, succeeding Richard L. Hirsch who had served as chairman of the board for nearly eight years. 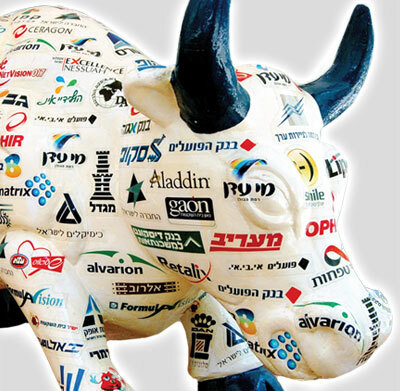 Goldstein, like Hirsch and other predecessors, sees the Bonds organization as indispensable to developing every aspect of Israel’s economy, and he looks forward to contributing to elevating its stature in many ways, including in the broader Jewish organizational community. The recently elected chairman of the Conference of Presidents, Arthur Stark, a passionate and dedicated supporter of Israel who served as chairman of the board of Friends of the IDF, noted the crucial role Israel bonds play in enhancing Israel’s economic vitality and cited the role Israel plays in advancing high-tech, green-tech, biotech, and many other cutting-edge industries that benefit the entire world. The group engaged in an intensive discussion of some of the challenges facing the American Jewish community and its support for Israel as well as the issues facing Israel in the international arena.